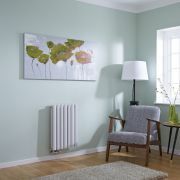 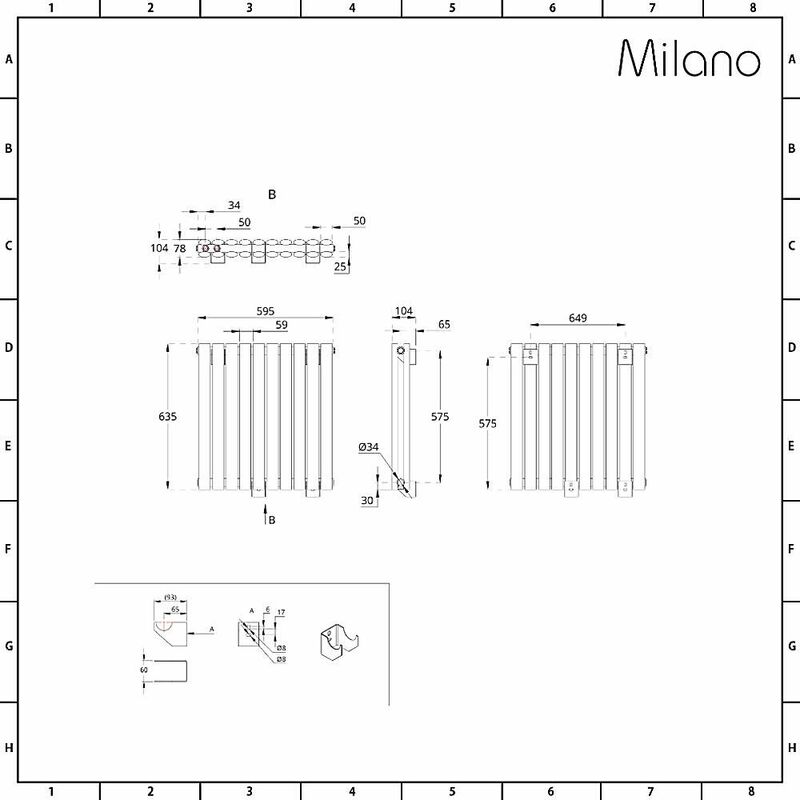 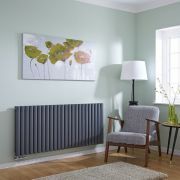 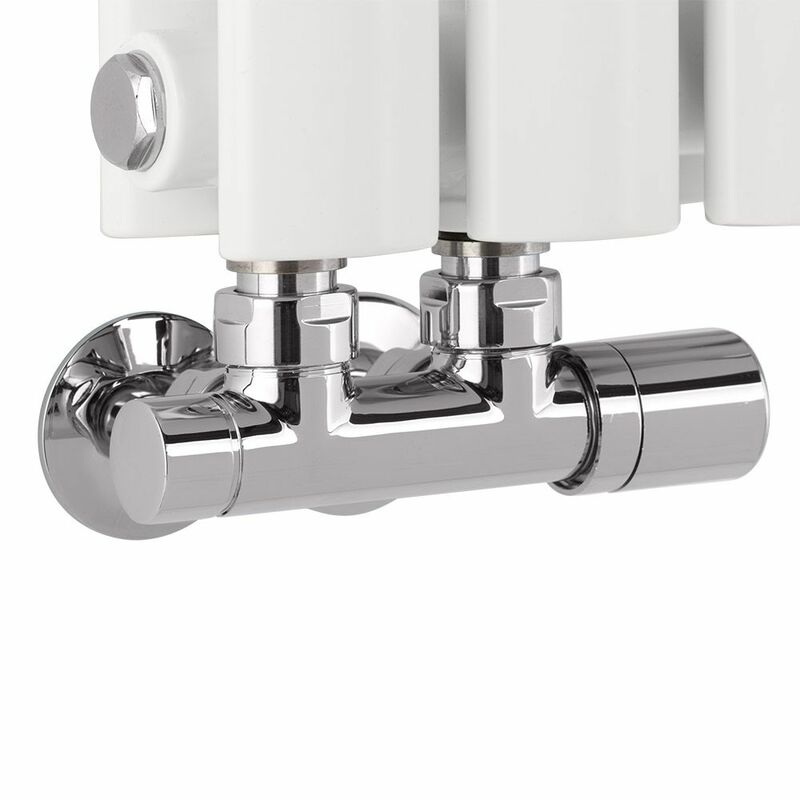 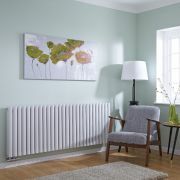 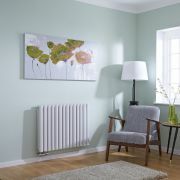 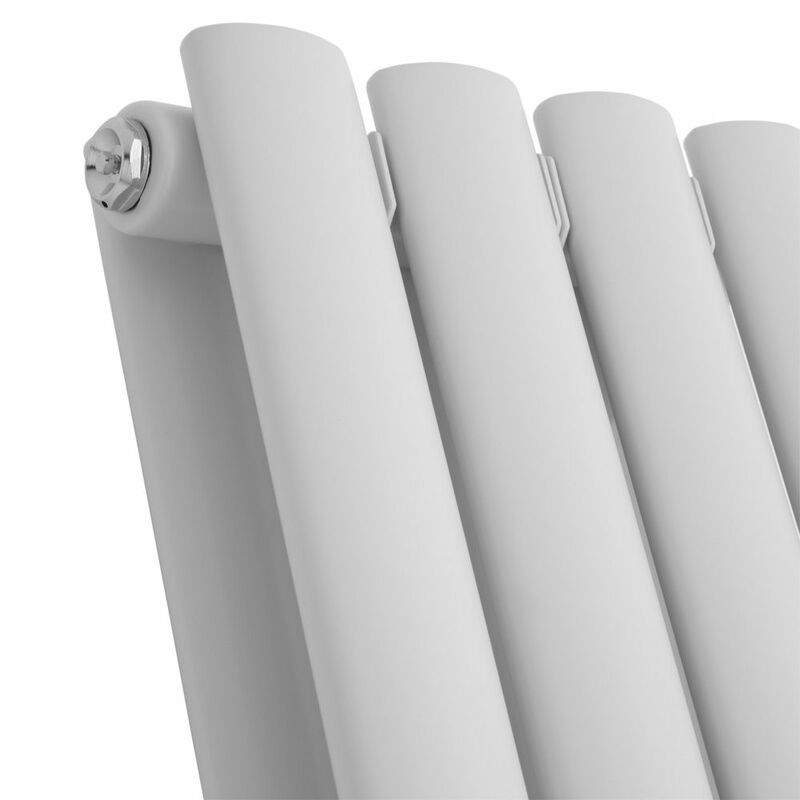 The Milano Aruba Flow 635mm x 595mm horizontal double designer radiator features an impressive heat output for such a compact radiator, perfect for adding a little designer style and warmth to your space. 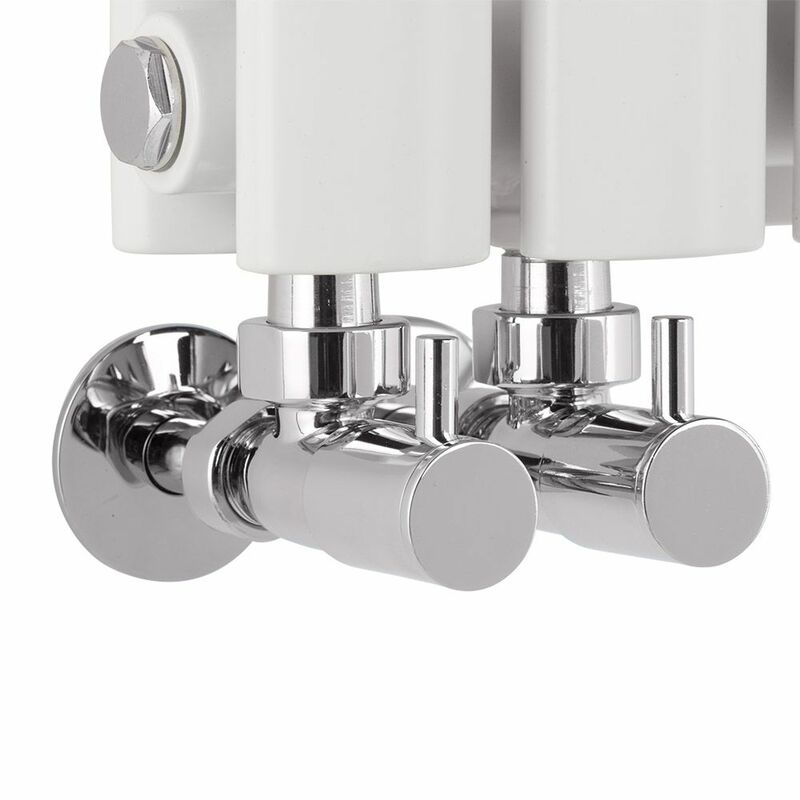 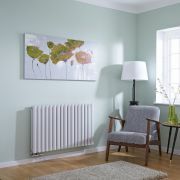 Featuring middle connecting valve inlets and a striking white powder coat finish, this beautiful horizontal radiator has been built with style and functionality in mind and is sure to enhance the look of any space, instantly. 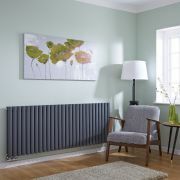 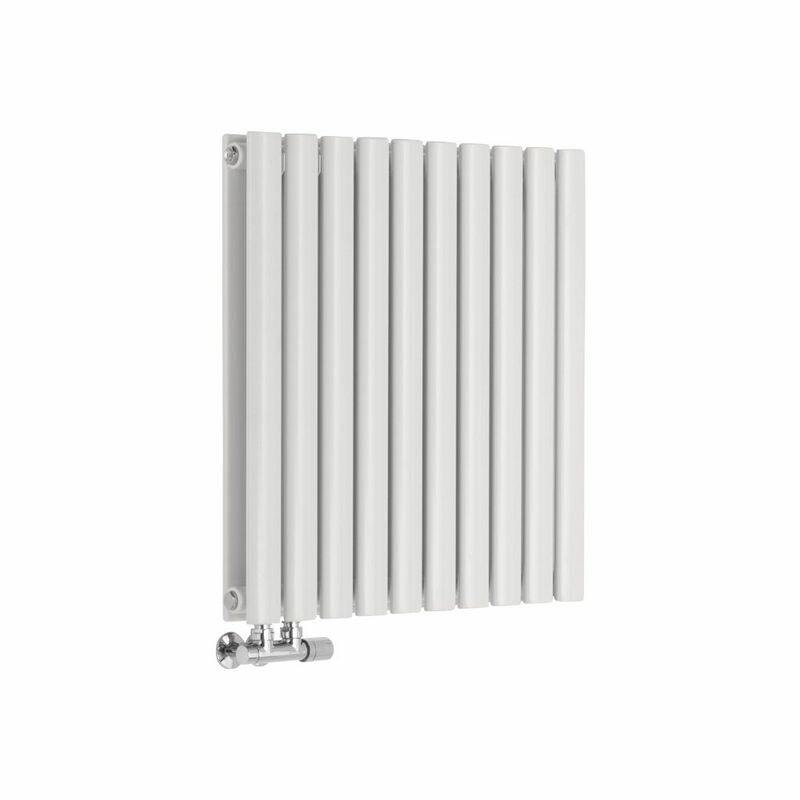 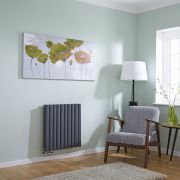 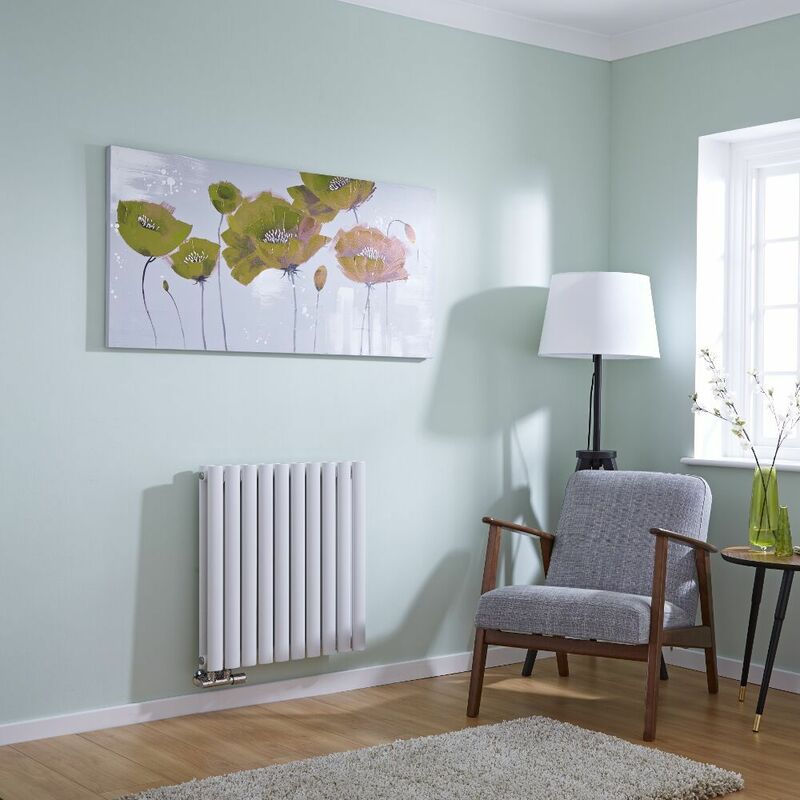 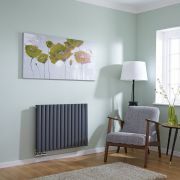 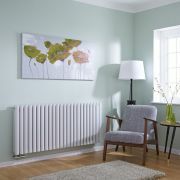 Made from premium quality steel for guaranteed durability, the Aruba Flow radiator produces an impressive hourly heat output to ensure your room is quickly transformed into a warm and welcoming space.